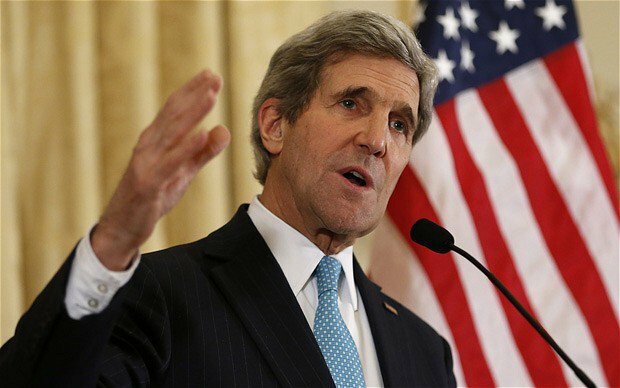 GENEVA, Aug 27, (APP/AFP) – Washington and Moscow have “achieved clarity” on the way towards a new ceasefire in Syria, but technical details must still be resolved, US Secretary of State John Kerry said Friday. “Today I can say that we achieved clarity on the path forward” for a revamped cessation to the fighting, Kerry told reporters alongside his Russian counterpart Sergei Lavrov after marathon talks. Kerry stressed that the two sides were not prepared to make a definitive announcement, but said US and Russian technical experts would continue to meet in Geneva in the coming days to hammer out a set of unresolved issues. Kerry linked the near total collapse of a previous ceasefire agreed earlier this year to the failure to respond to violations and the Syrian regime’s efforts to reclaim strategic territory, including around Damascus.